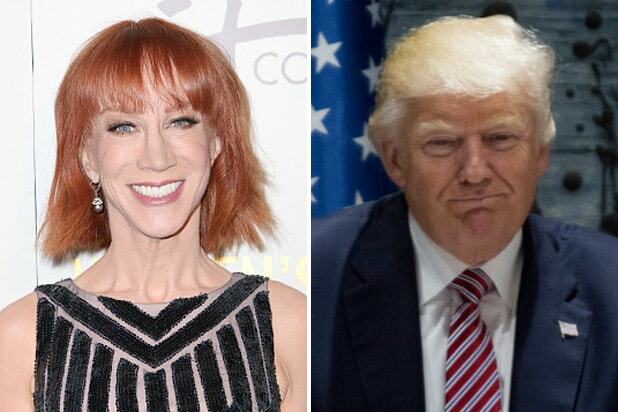 President Donald Trump wasted no time Wednesday morning blasting “sick” comedian Kathy Griffin for her photo featured a bloody and decapitated head of him. The red-headed comedian came under immediate fire on Tuesday after photographer Tyler Shields posted a photo and video from a shoot featuring Griffin holding the bloodied disembodied head of a man looking remarkably like Trump. On Tuesday, Griffin lost an endorsement deal over the photos, which were quickly removed from Shields’ website. Squatty Potty, the designers and creators of Squatty Potty toilet stools and Unicorn Gold bathroom products, cut ties with the comedian in the wake of backlash from the bloody images. Earlier on Tuesday, CNN released a statement questioning the future employment of its frequent on-air contributor who has co-hosted the network’s New Year’s Eve coverage with anchor Anderson Cooper in Times Square for the last decade. 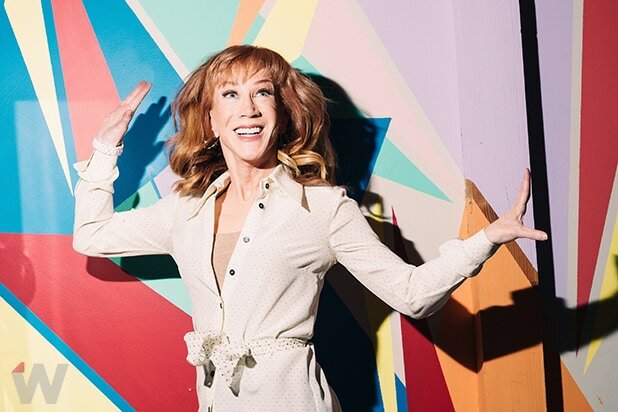 See Kathy Griffin's latest POWER MOVE.